The formal answer is - a garment piece that does not meet the customer requirement is a defective garment. A defective garment can be defined another way that a garment which has unacceptable defects or flaws is a defective piece. A defect might be related to specs (variation of measurement), related to raw material quality (fabric and trims used in the garment), shade variation or stitching defects, construction defects or performance defects. 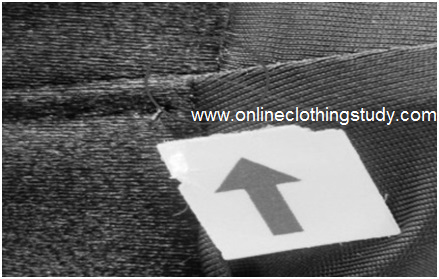 Buyers (brands) point view, even if a wrong label (size label, content label, main label) is found in a garment, garment is considered as a defective piece. 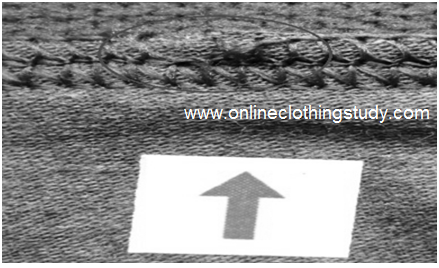 Buyers want all garments to be made following their specification and instructions. Variation of specification is a defective piece, whatever it is. Manufacturers need to correct such defects before final inspection to eliminate defective pieces from the shipment. Defects are categories as critical defects, major defects and minor defects. Once you are aware about garment defects and know possible locations/places of defect occurrence, you can easily find out and detect a defective garment. Many defects are not visible in garments. Consumer who don’t aware about quality requirement (other than fabric hand feel, look and component details) would not able to detect the defect before they use it. This is a positive point for garment manufacturers and retailers. In case you are working in garment manufacturing, whether a part of quality control team or in other departments, you should know how to identify a defective garment. I just like to add my observations. I often purchase domestic/local brands for clothes (these garments may be made locally or sourced from other part of the country) as sometimes I don't get option to buy clothes from good brand. I found most of the garments are defective pieces based on my analysis. 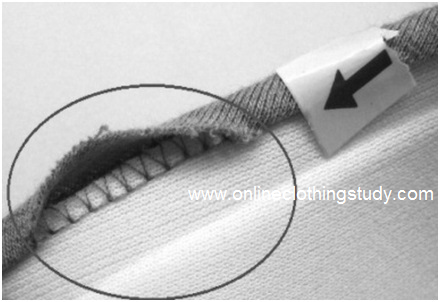 I observed that stitches are not secured in many seams, lot of loose thread tails are found inside the garment and buttons are not secured. All button pulled out after few days of use. Seam edges opened after few days. Even raw edges found at all seams. These are defective garments. I think manufacturers and entrepreneurs of such defective garments don’t aware that unsecured seam and loosely attached hook and button are not a quality product. 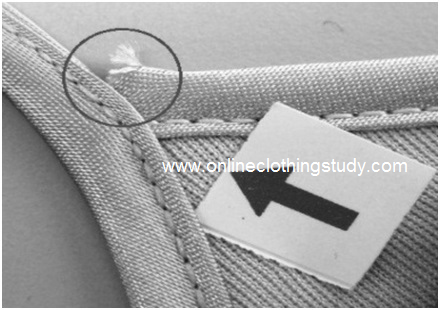 See some pictures of garment defects. Also Read: How defective garments are measured? An article on garment defects and defective garment.